Grinter the giant shuts herself away in her cold house, surrounded by huge snowy gardens, enclosed by high frost covered walls. Outside, the children discover a chink in the giant’s wall, changing the course of their lives forever. 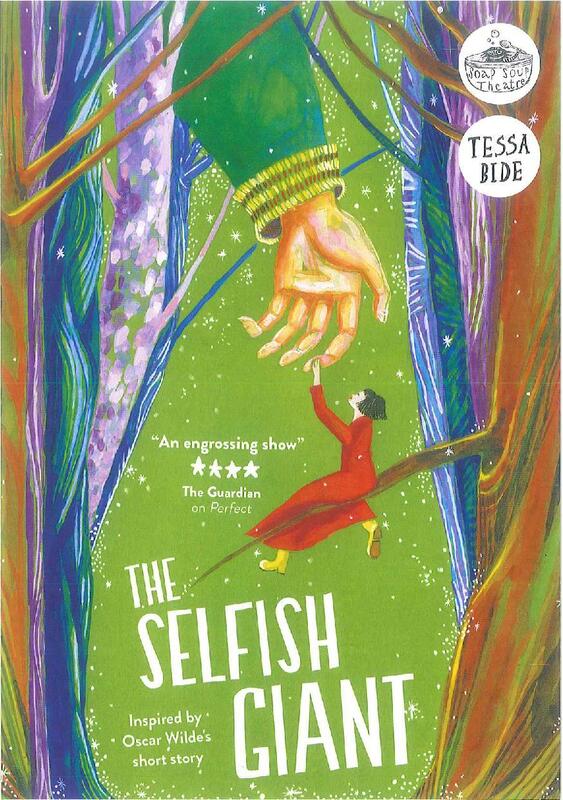 Inspired by the touching children’s story “The Selfish Giant” by Oscar Wilde, we are thrilled to welcome award-winning children’s theatre specialist Tessa Bide, to explore an unusual friendship, and how even the grumpiest giant’s heart can melt when Spring finally comes. Expect powerful storytelling, captivating puppetry and a sprinkling of theatre magic! This sparkling new production is suitable for children in EYFS and Key Stage 1.